Whether you are selling your home, purchasing a new car, or relocating for a new job, using a car shipping company is a convenient and reliable method to get your vehicle where it needs to go. It is crucial that you choose the right company for the job to ensure that your vehicle arrives safely. Having a positive experience is important and can be accomplished through preparation. Before booking auto transport services, you want to ensure that the company is professional and reputable. This can be accomplished by reading customer reviews, reviewing social media outlets, and by looking at their website. You should evaluate the car shipper based on their experience, licensure, and insurance. Auto transport companies are required by law to be registered through the Department of Transportation. You can look up this information by conducting a Google Search. It is also a good idea to search the car carrier on the Better Business Bureau website. Many auto transport companies offer a quote calculator on their website. This is a free form that requires some information to receive a car shipping quote. Not all car shipping quote calculators are the same. National Dispatch offers a form that requires no personal information. Upon submitting it, you will be instantly redirected to view your car transport rate. Beware of companies that quote prices below the standards for the industry. You may end up sacrificing the level of service and quality to save a few bucks. After requesting a quote, you should contact a representative with the company to get your questions answered. If this is your first time shipping a vehicle, you likely have many questions regarding payment, insurance, and the overall shipping process. An auto transport representative would be happy to assist you. A phone conversation gives you additional insight into the company. It tells you about their customer service, professionalism, and friendliness. Their staff should be courteous and knowledgeable. Contact National Dispatch at 800-321-2051 to find out more our car shipping services. Car shipping can take anywhere from a couple of days to a week or more. It all depends on the location, services, and shipping method. Then, there are some things that are outside of our control. No one can predict the weather with 100% accuracy. We work to meet your deadline by offering a pickup and delivery window. This varies depending on which of our three shipping methods you choose. If you need your car by a specific date, be sure to book auto shipping ahead of time. Preparation is key to a smooth auto transport experience. When you need vehicle shipping services to or from an area, think about the location. Is the area easily accessible by a main highway? Will there be enough space when the transporter arrives? National Dispatch offers door-to-door auto transport services for added convenience. We are happy to come to your home or place of business for pickup and delivery. Some locations present difficulties for a large transport carrier. If you live in an area where this is the case, discuss with your driver an alternative meeting place, such as a large parking lot, close to your home. Consider where you are moving to. If you are moving coast-to-coast, the climate could be completely different from your current home. Therefore, you should take the appropriate steps to prepare both yourself and your vehicle for the changes. Depending on the situation, you may need to protect your car from damages that could result from sun and heat or install snow tires on your vehicle. You may want to study up on the best times to move to that area. Avoid seasons or times of the year when bad weather, such as hurricanes, snow storms, etc. is likely to occur, if possible. Also, keep in mind moving trends. People move more frequently during the summer months. Thus, auto shipping companies are busier during this time of year. Most auto transport companies offer insurance coverage when transporting. Ask the car shipping company what is and is not covered during the transport of the vehicle. How much is covered varies by the company. National Dispatch offers insured auto shipping services. Therefore, no additional insurance is required. However, it is a good idea to check with your own auto insurance provider. Find out what your car insurance provider covers during the transport of your vehicle. Understand the contract before you sign. When the driver arrives at your home to pick up the vehicle, you must sign the Bill of Lading. The Bill of Lading is the legal agreement, or contract, between you and the auto transport company outlining the car shipping services that are being provided. You should make it a habit to thoroughly read all documents before signing. If you have any questions or concerns pertaining to the contract, ask your driver for clarification. Be realistic about a timeline. We work to accommodate difficult schedules to get your car to you in a safe and timely manner. However, it is important to remain realistic. The shipping process is different than that of an Amazon delivery. The safety of your vehicles, as well as our drivers, are our top priorities. One way to ensure that your car arrives when you need it is to plan. Our auto transport experts are happy to answer any questions regarding the auto shipping process. It is also a good idea to understand how weather affects your shipment. Check to see if the car moving company offers a trackable service, such as with a GPS system. This tracking system allows you to know where your car is at along its route, giving you more peace of mind. Our drivers stay in touch with our customers every step of the way to keep them informed of their approximate pickup and delivery times. We want the transport of your car to be a positive experience. Therefore, we seek to provide the best customer service. During transport, you can always contact one of our auto transport experts if you have questions or concerns. If you own a classic, luxury, exotic, or other high-value vehicle, you may want to request a service that will protect your car from the weather and road elements. It is recommended that these types of vehicles be shipped via an enclosed car carrier for added protection. However, you can also request that your car be “top loaded”. Top loading refers to when a car is positioned on the second level of a two-level transport carrier. A car in this position is less likely to encounter road elements, such as dust, dirt, and other debris. Keep in mind that these services come at an additional expense than the standard method of transport. Inspect the car before pick-up. When the driver arrives to pick up the car, a vehicle inspection will be completed. A report will be written up on the findings. This is important for insurance purposes, in case any incident was to occur during transit. Before the arrival of the transporter, designate some time to conduct your own inspection. Note any visible cosmetic damages, including paint chips, scratches, and dents. Take photographs, from all angles, of any cosmetic damages that you find. Keep these photographs for your records. You can also supply a copy to the transporter, as well. It is recommended to remove all personal belongings from the vehicle for safety and insurance purposes. Extra items in the car can cause damage to the car or the objects, themselves. In addition, the auto transport company does not cover damages caused by these items or the loss of these items. Personal belongings also add more weight to the vehicle. Car transport rates are calculated partly based on the weight of the car. Therefore, these additional items could result in added fees. Just as personal belongings should be removed, any loose parts on the vehicle should be removed or secured, as well. This would include bike and luggage racks. Make sure that all hood ornaments, decals, hubcaps, spoilers, and fog lights are secure and ready for auto shipping. It may be necessary to remove or retract the antennae. In the case of convertibles, ensure that the top is up and secured. If the convertible top is not in good condition, enclosed auto transport may be a better solution to avoid possible damage to the vehicle. It is vital to perform proper maintenance procedures on your car all year long. This ensures that you have a reliable form of transportation when you need it the most. Before transport, ensure that all the car’s fluids are filled to the appropriate levels. 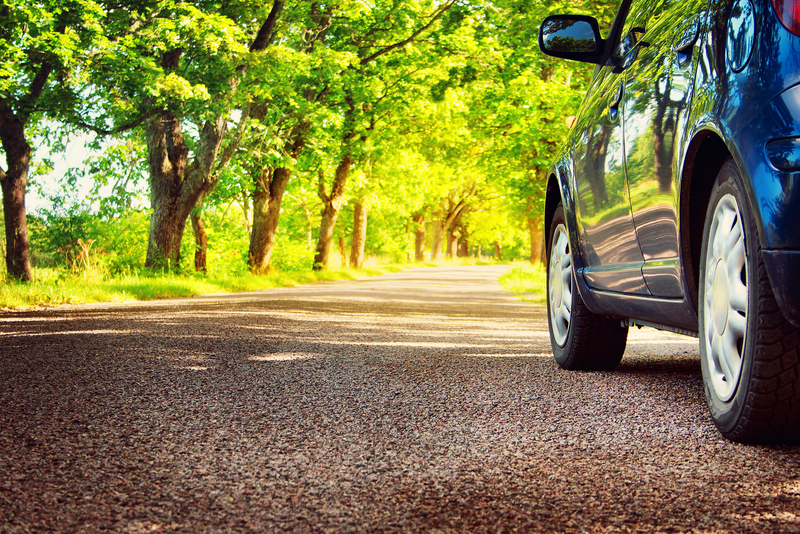 Check the tires to make sure that they are in good condition and at the proper pressure. Make sure that your car does not have any leaks. If it does have a mechanical issue, take it to your local auto mechanic for repair. At National Dispatch, we can ship inoperable vehicles, too. If your car does not run, let us know, so that we can make the appropriate preparations prior to transport. It is not necessary, nor is it recommended, to fill up your tank prior to transporting your car. Instead, keep your gas tank at approximately ¼ full. This is to reduce the weight of the car. Failure to do so could result in additional fees. Your vehicle will only be driven for loading and unloading purposes, so not a lot of gas is needed. Since your car will and should only be driven for these purposes, we recommend that you write down the mileage from your odometer. This is for your records. Ask the company what payment methods they accept (credit cards, cashier’s check, etc.) and how much is required before transport. All companies operate differently. Some car moving companies require full payment in advance, while others only require partial funds, or a deposit. Per National Dispatch policy, some payment is required prior to shipment. Upon first receiving your quote, it is important to verify what is covers. Beware of companies that include hidden fees. Therefore, it is important to read the entirety of the contract before signing. Prepare instructions for the driver. You likely use your car as a form of transportation to and from work everyday. This means that you spend a lot of quality time with your vehicle. You understand how it operates. To ship your vehicle, an auto transport professional will need to load and unload the vehicle onto a carrier. To make the driver’s life easier, prepare a list of operation instructions. This would include how to start, stop, and drive your car, if there is anything quirky about it. Give these instructions to your driver upon his arrival. Change the license plate after an out-of-state move. If you are moving to another state, you will need to change the license plate to reflect your new state of residence. This will require you to change your car’s registration and title information. This can be completed at your local DMV or by going online. States vary in how long they give you to complete this change after moving. It typically varies from 30 to 60 days after moving to your new state. Car shipping services are aimed at making your life simpler. National Dispatch provides a variety of services to meet your specific needs, budget, and timeline. Auto transport is easy, safe, and affordable. Leave all the hard work to us. Fly to your destination, and your vehicle will be shipped to its destination. There is no need to travel hundreds, or even thousands, of miles across the country when car shipping is so easy. We give you the peace of mind you need to start enjoying your new home or vacation spot. National Dispatch is a nationwide car shipping company. Request a free, instant car shipping quote, today. No personal information is required to receive a quote in seconds. If you prefer to speak with an auto transport representative, call us at 800-321-2051.